With Bowie and Hooky on the trail of a Good English Pint in Ummmmerrica, there was a great chance last night for me to soak up the tasty live sound of Roadhouse southern America , in Oxford , and stand for a couple of hours within touching distance of the fretboard of the modern legend that is Alvin Youngblood Hart. Grammy award winning Alvin, out of Memphis TN is the cosmic American Love Child Of Howlin Wolf and Link Wray!!! Known as a "musician's musician", his praises have been sung by everyone from Bob Dylan to Brit guitar gods Eric Clapton & Mick Taylor. Since his 1996 debut recording, the all-acoustic BIG MAMA'S DOOR, he has carried his musical message the world over. A devout follower of the 'no barriers' approach laid by veteran performers like Gatemouth Brown and the late great Doug Sahm, Alvin continues to defy the so- called purists. To have him appearing in the tiny, ( itself fast becoming legendry ) Blues club, on the fringe strip of the City , is a real coup, but you could just tell by hearing him talk about the rocking blues that he was as happy bringing the walls down to 100 people ( as there was cramming the room...) as he was to 10,000 at a festival. ....the whole tale of starting out life on the dirt poor side of the tracks to playing round the globe, just how I want my bluesmen to be. You gotta have felt to know how to feel. His new album "Motivational Speaker" just about says it all and it was a fantastic evening watching at close quarters his big phat phalanges make his guitar wail and sing. You'll have noticed the words "legendry" and "Bob Dylan" cropping up a few times in this blog which prompted an aftershow beer and chat at the bar about the nature of Legendry-ness and how it is almost over used like "genius"..these day. What does it take to be legendry... Longevity ?...the rise from poverty to being a household name through deeds told by word of mouth?...or that simply that you gained respect...by doing it the hard way, playing every roadhouse and blues club in the world like this one tonight... increasing the legend even more. 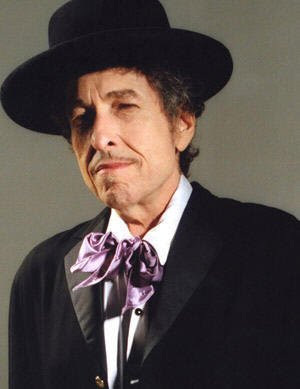 ......... as it was with great amusement that on the way home I tuned in the 1 am newsround on the car radio to hear that Bob Dylan, the man himself, is "talking to a couple of car companies" about becoming the voice of their GPS Sat Nav system. So naturally this led me to thinking.. "How many Roads does a man walk down" and whether what ever you typed into the Sat Nav you would end up on "positively 4th Street"
It could have been "Lonely Avenue" but Ray Charles got there first and I even hoped he wrote "Turn Turn Turn" but that was Pete Seeger, so it seems even legends can't have everything. That looks like a very cool club and a very cool show. you could do that job well, Sir D! who needs Gwyneth or Bob? Seems so Lady T... and it actually broke on the news as i was going home from the show. 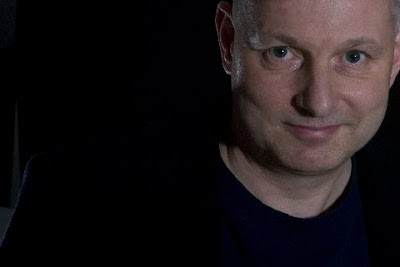 It came from Dylan himself, who does a DJing slot of his own on the BBC Radio 6 ( you should be able to recieve that on your computer over there ) these days, so we shouldn't be wholly surprised I suppose. Ozzy Osbourne does a Sat Nav and there is I believe a Clint Eastwood one "Do you really want to go there?,Punk"
What next...the Queen doing a Sat nav?.. "One should turn right here" lol. Yep, Alvin is an amazing American Blues Rock artist! His music is served up best in smaller venues...the sign of a true music lover! I couldn't say it any better than Lady Suzanne...and as for Bob on my Garmin, I still prefer Gwyneth! However, it will be so shocking to his "faithful fans" to go commercial that I think it's brilliant! Bob has always been a great shape shifter! heh very Good impression of me directing Hook in the traffic... Lady Suz... ....you listened well in the back seat with Aileen and Bowie napping and a nodding alongside you.. :)) happy days..
and hooky.... i'm going to have to send over to Aileen a blanket to put on the couch to stop your drool messing it up. I have the one our old retriever used to lie on, up in the loft....that'll do it..
ps do you actually go out in the street in those pants?? Well T here's Pappy...selling Car Insurance on UK TV.. So, Quinn the Eskimo called and asked if I wanted to go on a Motorpsycho Nitemare! Sure, I would love to (Love Is Just A Four-Letter Word). This Old Man believes this place is Too Much of Nothing. The Times Times They Are a-Changin; time to say Bye and Bye. First, I stopped for One More Cup of Coffee and a magazine Like A Rolling Stone. Which way? You would think that One of Us Must Know! I said that I did. Quinn shouted I Don’t Believe You! We were Going, Going, Gone anyway! A Million Miles leter, it seemed as if we were going around in circles. After the 4th Time Around All Along the Watchtower, I was thinking what is A Fool Such as I doing singing The Dirt Road Blues. We were lost, Blowin’ in the Wind just Like Tom Thumb. Yes we were Stuck Inside of Mobile with the Memphis Blues Tryin' to Get to Heaven. So, to pacify the Man of Constant Sorrow, I plugged in my trusty Bob Dylan GPS. It was on Highway 61 Revisited that we picked up a few more Love Sick Masters of War Standing in the Doorway, including: Absolutely Sweet Marie, The Gypsy Lady, Angelina, Arthur McBride, Frankie Lee and Judas Priest, Hollis Brown, Ira Hayes, A Thin Man, Barbara Allen, Blind Willie McTell, The Boxer, a Jokerman, Rita May (She Belongs to Me), A Brownsville Girl who wore Boots of Spanish Leather, Queen Jane, Sara (a real Sugar Baby), Frankie and Johnny, Lily of the West, Rosemary and the Jack of Hearts, Little Sadie, The Moonshiner, Mr. Bojangles, and Mr. Tamborine Man. People, Get Ready! We're off to create Precious Memories. We;re Talkin' New York or Mississippi or Gates of Eden or Desolation Row or anywhere else you want to go cause This Land is Your Land -- just not Spanish Harlen (remember that Incident?). Looking to the North Country towards Maggie’s Farm, it was obvious that A hard Rain’s a Gonna Fall! In comes the thunder Rollin and Tumblin, Four Strong (and Idiot) Winds. Soon, we were climbing to the Highlands and the House of the Rising Sun. I called my mom and said It’s Alright, Ma; It’s All Over Now, Baby Blue (her nickname) even though I’ve lost my Dignity. I learned on that trip that It Takes a Lot to Laugh, It Takes a Train to Cry. We all said our Restless Farewell. Where to next? I Can’t Wait. Hurry up, I’m not Forever Young, you know! Our Bob Dylan GPS said he was “recalculating” and finally, “Beyond Here Lies Nothin’; Tomorrow is a Long Time! Mighty Impressed, am now going back in to read them again.